If you grew up in the pre-MP3 era, chances are you had at least one go-round as a member of Columbia House’s mail-order music club. Who could turn down the allure of eight compact discs (or 11 record albums or cassette tapes) for just a penny? It would be stupid not to join up! A few months of automatic shipments later, you probably ended up like a lot of members did: as a no-income 14-year-old who owed Columbia House $47 for unwanted Sir Mix-a-Lot CDs. Let’s take a look at a few lingering questions about the music club. How did the Columbia House business model work? The underlying model for Columbia House was a pretty simple setup known as negative option billing. Basically, once you sign up for a membership in a club or service, you start getting monthly shipments unless you expressly tell the club you don’t want them. Of course, you also get the bill. Negative option billing has actually been illegal in Ontario since 2005, but it’s still legal in the United States. There are a few caveats, though. The Federal Trade Commission requires that any club or service offering a negative option plan must clearly and conspicuously indicate minimum purchase obligations, cancellation procedures, the frequency with which members must reject shipments, and how to eventually cancel a membership when they enroll new members. The FTC really drops the hammer on any company that doesn’t comply with these regulations. In 2009 it reached a $1 million settlement with the online company Commerce Planet, which had been offering a “free” online auction kit while also signing customers up for a recurring $59.95 “online supplier” program. How did Columbia House make any money while giving away so much music? Columbia House and competitor BMG brought in tons of gross revenue — as late as 2000, the two companies were grossing $1.5 billion a year. But even with negative option billing bringing in cash from club members who forgot to return their rejection forms, Columbia House operated on a seemingly tight margin. Columbia House and BMG had some fairly clever ways to save cash, though. Until 2006, the record companies had never actually secured written licenses to distribute the records they sent to club members. Instead, the clubs saved the hassle (and the expense) by paying most publishers 75% of the standard royalties set by copyright law. The clubs argued that since the publishers were cashing their discounted checks, they were submitting to “implied” licenses. Music publishers didn’t love this arrangement, but for decades it was pretty tough to fight back against the mail-order clubs. As some of the biggest pre-Internet retailers, the clubs held enormous power over the music market. According to a 2006 Billboard article, if a publisher complained, the clubs would simply stop carrying their records. On top of that, the clubs generally weren’t buying their records from labels and then selling them. Instead, the clubs would acquire the master tapes of records and press their own copies on the cheap. Moreover, remember those “bonus” or “free” records you got for signing up for the clubs? The clubs generally didn’t pay any royalties at all on those, which further slashed their costs. In the end, all these little factors saved a ton of money. In his 2004 book The Recording Industry, Geoffrey P. Hull took a look at the economics of the clubs. He estimated that the cost to the clubs of a “free” disc was only around $1.50, while a disc sold at full price cost the club anywhere from $3.20 to $5.50. Hull did the math and realized that even if only one of every three discs a club distributed sold at the $16 list price, the club would still end up making a margin of around $7.20 on each sold disc. Hull explains that retail stores were hard pressed to make a margin of even $6.50 per sold disc, so it’s easy to see how the clubs stayed afloat even with their massive marketing and advertising costs. Did anyone really, really take advantage of those introductory offers? Joseph Parvin of Lawrenceville, NJ, was undoubtedly the patron saint of anyone who ever wanted to stick it to a music club for receiving an unwanted record. In March 2000, the 60-year-old Parvin admitted that he had used 16 post office boxes and his own home address to fleece Columbia House and BMG out of 26,554 discs during a five-year span in the '90s. He pleaded guilty to a single count of mail fraud. Oddly, the New York Times story on Parvin’s plea included a story of another scammer who was nearly as prolific. Just five months earlier, David Russo pleaded guilty to stockpiling 22,000 CDs using a similar scheme. He then sold the booty at flea markets. What about Columbia House’s old rival, BMG? In 2005, Blackstone again flipped Columbia House to the German media giant Bertelsmann, the owner of BMG, for a reported $400 million. After a series of further transactions, Columbia House is now situated in the portfolio of Direct Brands, Inc., a direct marketer whose other holdings include the Book-of-the-Month Club. 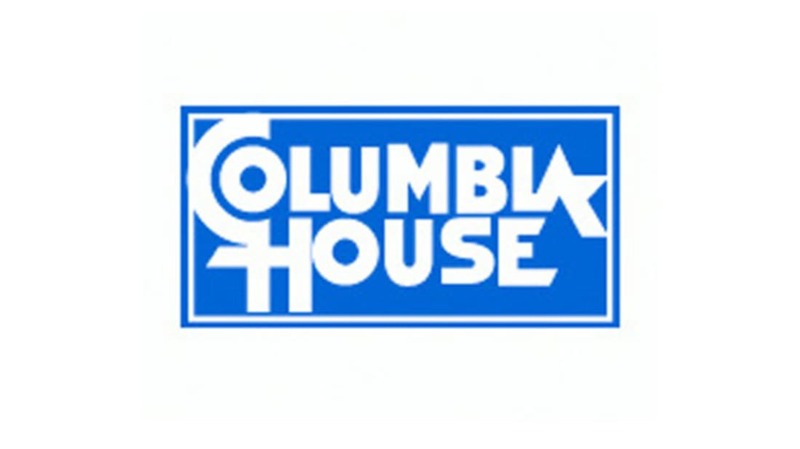 Can I still order music from Columbia House? You’re a few years too late. The merged version of Columbia House and BMG, the BMG Music Group, quit selling music on June 30, 2009. (Apparently digital music wasn’t just some silly fad.) Direct Brands still operates a business under the Columbia House name, but don’t expect the latest music to show up at your door. The revamped company sells DVDs and Blu-Ray discs. Did any of you end up owing way too much money to a music club? Do you remember your first eight CDs?